Nuclear Tsunamis-Weapons of Mass Destruction Revealed At Last!! "No weapon that is formed against thee shall prosper" (Isaiah 54:17). While the world suffers real pain; the men in the Pentagon drink champagne!! "Like a war zone"....Some of the devastation from a nuclear tsunami that hit Indonesia on Dec. 26, 2004, killing over 250,000 people!! Weapons of mass destruction on board a Pentagon aircraft carrier. 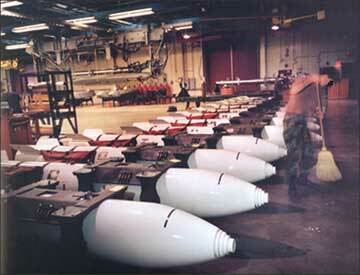 One megaton nuclear bombs on board a Pentagon aircraft carrier. Each bomb has the explosive power of I MILLION tons of TNT. Each hydrogen bomb is 50 times more powerful than the atomic bomb that fell on Hiroshima, Japan in 1945. One such bomb strategically placed could devastate a country the size of England. The Pentagon has more than 10,000 of such monsters in its arsenal. The hydrogen or thermonuclear bomb is just a nuke within a nuke. In other words, it uses the fission in a conventional atomic bomb (primary) to trigger a chain reaction (fusion) in another bomb (secondary) in order to create a nuclear explosion. A third or tertiary stage can be added yielding up to 20 million tons of TNT!! Hitler had the hydrogen bomb in 1945 and the Pentagon tested a nuclear bomb in Alaska on April 1, 1946. First test of an atomic bomb took place at Port Chicago on July 17, 1944!! The world's first atomic explosion took place at Port Chicago just north of San Francisco on July 17, 1944. This was a test of the gun-assembly uranium bomb that was dropped on Hiroshima, Japan on July 6, 1945. The atomic test was carried out using the smokescreen of conventional explosives. Hundreds of black sailors were loading ammunition ships in the harbor bound for the Pacific war. The explosion destroyed everything within 1/2 mile and actually caused a tidal wave. The Pentagon said that the ammunition on the ships caught fire and caused the explosion. This was pure fiction as there was no fire preceding the sudden explosion. Hydrogen bomb principles were well know in 1944!! The principles of the hydrogen bomb were well know in 1944....Compared to the destructive force of a hydrogen bomb an atomic bomb is a TOY....Hitler was not playing games and his scientists were focused on building and delivering H-bombs. Dr. James B. Conant (1893-1978). President of Harvard University and scientific adviser to General Groves. "By various methods that seem quite possible of development within six months after the first bomb is perfected, it should be possible to increase the efficiency ... in which case the same amount of material would yield something like 24,000 Tons TNT equivalent. Further developments along this same line hold a possibility of producing a single bomb with such amounts of materials and such efficiencies as to run this figure up to several hundred thousand Tons TNT equivalent, or even perhaps a million Tons TNT equivalent... All these possibilities reside only in perfecting the efficiency of the use of elements "25"[U235] and "49"[Pu239]. You will thus see that a considerable "super" bomb is in the offing quite apart from the use of other nuclear reactions. "(Bush-Conant Letter on the Super Bomb, National Archives). This letter was written by Dr. Conant to Vannevar Bush on Oct. 20, 1944!! First "earthquake" and tsunami of 20th century was in Alaska on April 1, 1946!! "One of the most destructive Pacific-wide tsunamis was generated by a magnitude 7.8 earthquake near Unimak Island in Alaska's Aleutian Island Chain. A huge wave of 35 meters destroyed completely the U.S. Coast Guard's Scotch Cap lighthouse on Unimak and killed all five of its occupants. The lighthouse was a steel-reinforced concrete structure standing about 30 meters above sea level. Without warning, destructive tsunami waves reached the Hawaiian Islands, five hours later, causing considerable damage and loss of life. The waves completely obliterated Hilo's waterfront on the island of Hawaii, killing 159 people there. Altogether a total 165 people lost their lives from this tsunami, including children attending school at Hawaii's Laupahoehoe Point, where waves reaching up to 8 m destroyed also a hospital. Damage was estimated at $26 million (in 1946 dollars). In 1948, and as a result of this tsunami, the U.S. established a Pacific Tsunami Warning Center in Hawaii."(Intl. Tsunami Info. Center). First test of a hydrogen bomb took place in Alaska on April 1, 1946!! 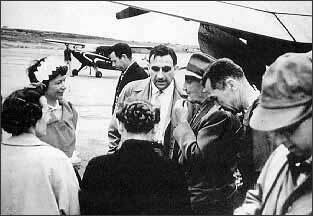 Dr. Edward Teller, center (1908-2003), the father of the H-bomb visited Alaska frequently. Under the guise of the peaceful use of nukes he tested several H-bombs in Alaska under the code name Project Chariot. Teller tested a hydrogen bomb in Alaska on April 1, 1946. The Pentagon controlled world press reported it as an "earthquake" and tsunami. This hydrogen bomb explosion was triggered by a gun-assembly device similar to the one used on "Little Boy"-the Hiroshima bomb. HItler had already perfected it for use against a British or U.S. port. The device was either a copy of the German bomb or something invented by Teller at Los Alamos. The destructive power of an H-bomb is unimaginable as demonstrated by the subsequent "earthquake" and tsunami. "An important early postwar meeting to review the status of the Super was held at Los Alamos between April 17th and April 23rd, 1946. The work to date on thermonuclear processes was reviewed and a specific model of a thermonuclear bomb was presented. The conference centered on the feasibility of this model, which was chosen for amenability to theoretical treatment rather than engineering practicability or efficient use of fissile material and tritium. The purpose of the conference was to study the feasibility of thermonuclear bombs in principle, not to propose designs for actual weapons. An extensive series of computations on the ENIAC of one dimensional burning of tritium and deuterium had been completed by this time. An additional purpose of the meeting was to discuss the computational results and to assess the prospects for the physical realization of a thermonuclear device. Despite the simplified but relatively ambitious nature of the model, the general consensus was that the preliminary results were encouraging (given what was known at the time about the factors of radiation cooling and fuel dispersion). Several comprehensive documents were drafted as the first phase of the thermonuclear development program drew to a close." (Hansen, U.S. Nuclear Weapons: The Secret History, p. 45). (President from 1961 to '63). This banning of the Pentagon from nuclear testing was another reason for them to assassinate the President!! "The largest earthquake of the 20th Century in the northern hemisphere, with a magnitude 8.4, affected an area in Alaska that was almost 1600 km long and more than 300 km wide - extending from Valdez to the Trinity Islands, southwest of Kodiak Island in the Gulf of Alaska. The earthquake caused areas to be lifted by as much as 15 m (50 feet) in certain areas, while many other areas subsided greatly. In addition to many local tsunamis generated within the Prince William Sound, vertical crustal displacements averaging 1.8 m (6 ft.) over an area of about 300,000 square kilometers (115,000 square miles) extending in the Gulf of Alaska's continental shelf, generated a Pacific-wide tsunami. Its waves were very destructive in southeastern Alaska, in Vancouver Island (British Columbia), and in the U.S. States of Washington, California and Hawaii. The tsunami killed more than 120 people and caused more than $106 million in damages, making it the costliest ever to strike the Western United States and Canada. Five of Alaska's seven largest communities were devastated by the combination of earthquake and tsunami wave damage. Alaska's fishing industry and most seaport facilities were virtually destroyed. Tsunami waves at Kodiak Island washed away a total of 158 houses and buildings within two blocks of the waterfront. Fishing boats were carried hundreds of meters inland. The 1964 tsunami waves caused also extensive damage in Vancouver Island (British Columbia), and in the states of Washington, California and Hawaii, in the U.S.. The waves affected the entire California coastline, but were particularly high from Crescent City to Monterey ranging from 2.1 - 6.3 meters (7-21 feet). Hardest hit was Crescent City, California, where waves reaching as much as 6 meters (20-21 feet) destroyed half of the waterfront business district. Eleven persons lost their lives there. At Santa Cruz Harbor, the tsunami waves reached as high as 3.3 meters (11 feet) causing some damage. There was extensive damage in San Francisco Bay, the marinas in Marin County and at the Noyo, Los Angeles and Long Beach harbors. Estimated losses in California were between $1,500,000 and $2,375,000 (1964 dollars), while at Crescent City tsunami damage was estimated at $7,414,000." (Intl. Tsunami Info. Center). On the day after CHRIST MASS, the Death's Head Jesuit General in the Vatican ordered the Pentagon to temporarily suspend the ecumenical movement and send a Christ MASS present to the Moslems in Indonesia. Traditionally Satan; I mean Santa, is supposed to arrive via AIR....This time he arrived by sea bringing DEATH and Destruction to hundreds of thousands of unbelievers. The nuke or nukes were planted by the Pentagon Navy in the Sumatran Trench off the coast of Indonesia. The TIMING of this event is the clue to Rome's involvement. All the great Inquisitions of history began around CHRIST MASS time. Charlemagne, the unholy Roman Emperor was crowned on CHRIST MASS Day in the year 800. Soon after, terror came from the sea to the British Isles in the form of Viking longships. All of the Vatican "holy" years or Jubilees began on Christ Mass Day. The Soviet Union was officially dissolved by Jesuit Gorbechev on Christ Mass Day 1991. Hitler had the hydrogen bomb in 1945!! Hitler's bomb used the gun-assembly uranium trigger to initiate the hydrogen chain reaction. After the British bombed the Nazi heavy water facilities in Norway, Hitler obtained heavy water from the Belgian Congo. He built a hugh underground nuclear weapons facility in Sangerhausen in the eastern part of Germany. 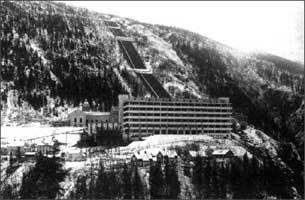 Norsk Hydro in Norway supplied Nazi Germany with the heavy water for the hydrogen bomb until it was bombed by the British in 1943. Hitler obtained pure uranium (U-235) from his undercover agents in Oak Ridge, Tennessee, and the heavy water isotope deuterium from the Belgium Congo. The Belgium Congo uranium mines were flooded by the British but a hydroelectric dam on the Congo River was used by the Nazis to produce the heavy water for the hydrogen bomb. In Jan, 1945, Hitler was ready to deliver an H-bomb via submarine to the port of Liverpool, England. One bomb could have devastated almost all of Britain!! Heavy water is not necessary to build an atomic bomb . . . but absolutely essential for a hydrogen bomb!! Some reactors today use heavy water as a moderator to slow the chain reaction but in the U.S., Enrico Fermi used a graphite pile . . . not heavy water . . . to slow the reaction. "Teller pointed out that deuterium would be far cheaper to obtain than U-235 or Pu-239 and that the explosion could be made indefinitely large by increasing the amount of deuterium placed near the fission bomb. From that point on, although Oppenheimer tried to bring the discussion back to the fission bomb, Bethe and others spent much of their time at the meeting arguing with Teller about his Super ideas.. Bethe recalls Teller being so preoccupied with the Super that at one point, in a discussion of the Germans' desire for heavy water (as a moderator in the nuclear reactor), "Teller as usual jumped thirty years ahead of time and said, 'Of course they want heavy water to make a Super. '"(Hoddeson, Critical Assembly, p. 45). 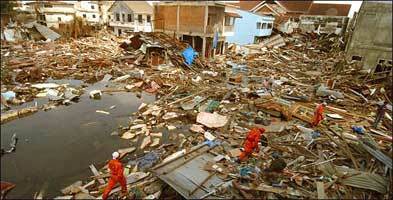 Where will the Pentagon strike next with their "earthquakes" and tsunamis??? We don't know how many bombs the Pentagon set off under the ocean but they must have been substantial. Where will the Pentagon strike next with their weapons of mass destruction?Nobody is safe from the those deadly Fatima Crusaders!! Joevialls.com. 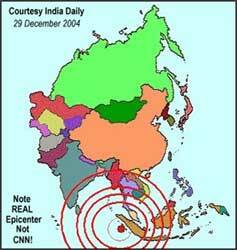 See article entitled: Did New York Orchestrate The Asian Tsunami? 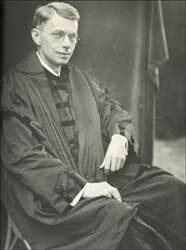 Conant, James B. My Several Lives: Memoirs of a Social Inventor. Harper & Row, New York, 1970. Hershberg James. James B. Conant. Harvard to Hiroshima and the Making of the Nuclear Age. Alfred A. Knoph, New York, 1993. Hansen, Chuck. U.S. Nuclear Weapons: The Secret History. Crown Publishers, New York, 1988. Hoddeson, Lillian. Critical Assembly: A Technical History of Los Alamos during the Oppenheimer Years, (1943-1945). Cambridge University Press. New York, 1993. Kohlhoff, Dean W. Amchitka and the Bomb. Nuclear Testing in Alaska. University of Washington Press, Seattle, 2002. Morland, Howard. The Secret that Exploded, Random House, New York, 1981. O'Neill, Dan. The Firecracker Boys. St. Martin's Press, New York, 1994. (A great expos� of Edward Teller and Alaska nuclear testing called Project Chariot and Operation Plowshares). Rhodes, Richard. Dark Sun: The Making of the Hydrogen Bomb. Simon & Schuster, New York, 1995. Salinger, Pierre. With Kennedy. Doubleday & Co., Garden City, New York, 1966. Shambroon, Paul. Face to Face with the Bomb: Nuclear Reality after the Cold War. Johns Hopkins University Press. Baltimore, MD., 2003.